People on social assistance and the people who work with them say they're disappointed the Ontario government is cutting a planned increase in half. In their pre-election budget, the Liberals set the increase for social assistance at three per cent. The new Progressive Conservative government announced Tuesday the increase would be reduced to 1.5 per cent. They also announced they would cancel a basic income pilot project in three cities. Paul Knoll receives disability benefits and lives with his sister Helen Ries, who is his primary supporter. "I'm disappointed and upset," Knoll said. Ries also advocates for people with disabilities and those dealing with poverty and said the situation is much worse for people without family support. "With a rate increase that doesn't match the rate of inflation, I can't imagine how people are going to survive," she said. The Ontario government said it's reducing the cost of living with its plans to lower gas prices and hydro rates. Sue Garvey, executive director of Cornerstone Housing for Women, said lowering the increase could mean approximately $20 to $30 less per month for people in need of direct support. "The people that we serve, the most vulnerable people in Ontario, don't have cars. The price of gas going down is not going to make a difference to them," Garvey said. "Often, to be honest with you, those people that we're seeing are not even able to pay the hydro bills as they are now and won't be able to afford them in the near future." 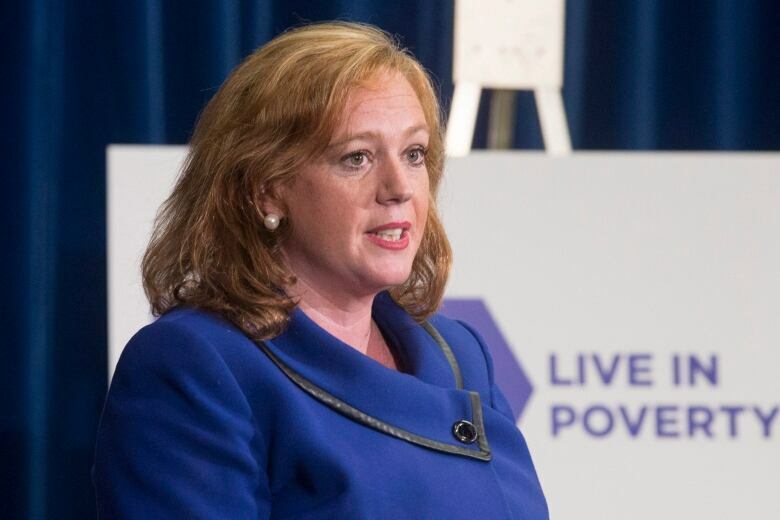 Minister of Children, Communities and Social Services Lisa MacLeod said the 1.5 per cent increase was an immediate measure as the province reviewed its social assistance programs with the aim of announcing reforms in 100 days. "This decision is about fixing a broken system and making sure we have the capacity to build people up and get them back on their feet," MacLeod said. Garvey said she is waiting to hear more information about what those changes could look like and what MacLeod meant when she referred to the income supports as a "patchwork." Ries is also watching to see how the government decides to change the system for people with disabilities. "I live with a person with a disability day-to-day and I'm involved in it through advocacy and it's still hard for me to understand the varying life situations of people in Ontario," she said. "Hopefully, they'll be using some of the really great work that's been done to inform their decisions."